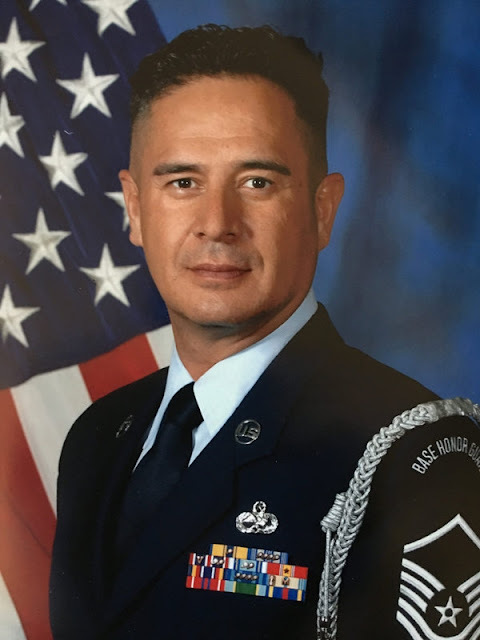 Oscar Rodriguez, the retired senior master sergeant whose ejection during a flag-folding ceremony at Travis Air Force Base in California sparked a nationwide uproar, is suing the Air Force for alleged civil rights violations. In April 2016, Rodriguez was thrown out of a retirement ceremony for his friend Master Sgt. Charles Roberson when he stood — at Roberson’s request — to deliver an unauthorized speech during a flag-folding ceremony that mentioned God. Roberson is also a plaintiff to the lawsuit, which was filed on their behalf by the religious freedom organization First Liberty Institute. Rodriguez is alleging violations of his rights under the First, Fourth and Fifth Amendments of the Constitution.